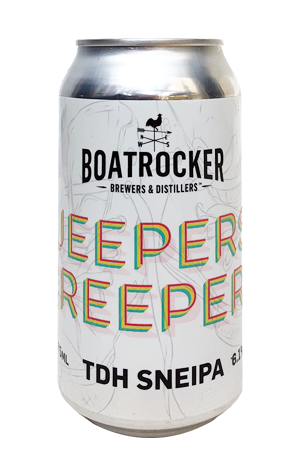 If you wanted to put out a beer that ticked as many boxes as possible when it comes to current trends in the craftier parts of the beer world, you'd struggle to come up with one that outdoes this. It's not just an IPA, but a New England style hazy IPA. Not just that, it's sour too. And, completing the picture is a hefty dose of dry-hopping complete with attendant acronym TDH (triple dry-hopped). So far, so on point. But what of the resultant beer? Thankfully, it's a cracker, with the composite parts – the fruity hop aromatics sitting alongside a little lemony funk on the nose, the lively citrus flavours, the acidic tang sitting in for the bitterness – producing the sort of harmony the Teenage Fanclub were knocking out onstage a few hours after the can was emptied.